«The great truth» illustrated quotation. Passover, free quote pictures for Facebook, Twitter, LinkedIn, Reddit, Pinterest and other social networks. 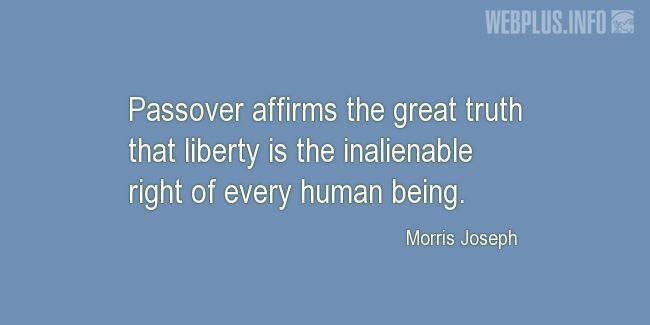 Passover affirms the great truth that liberty is the inalienable right of every human being.